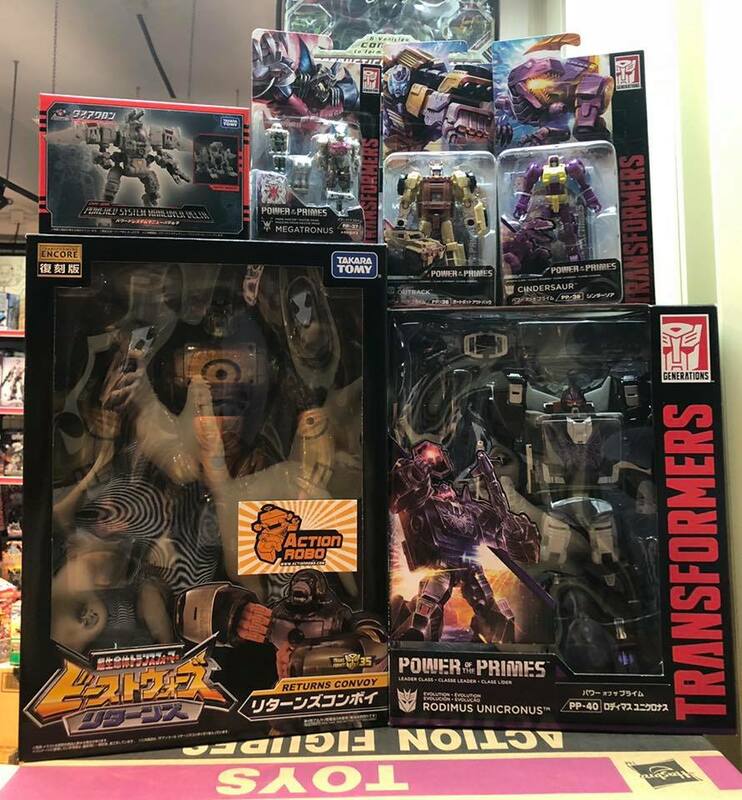 It seems that the Encore Beast Wars Returns Convoy (Air Attack Optimus Primal reissue) is starting to surface in Asian markets. 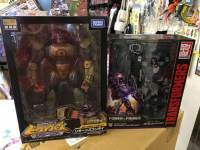 Some in-package images have surfaced via Robo Robo, 頑童玩具 NAUGHTY GUY and Action Robo on Facebook. 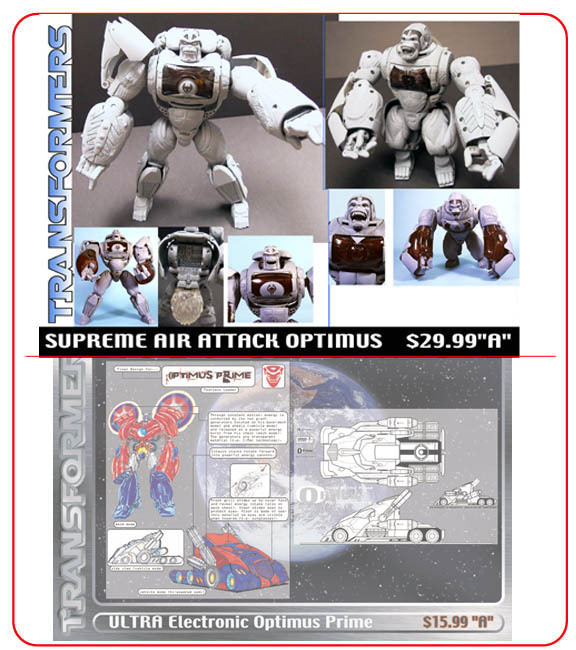 This new Encore release brings the original RID Supreme Air Attack Optimus Primal mold in cartoon-accurate colors, including new voice clips by the Japanese voice actor of the character. We have a big windowed box that comes with the toy in robot mode, different from the original Hasbro release which came packaged in beast mode. 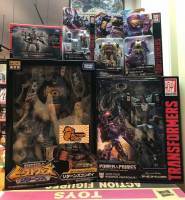 The front of the box features the Beast Wars Returns logo and a small pic of the toy in beast mode in the lower part. Click on the bar to check the mirrored images on this news post and then let us know if you are grabbing this toy into your collection on the 2005 Boards. Beast Machines has the most untapped potential. No one got QC issues with this one? I was waiting feedback after buying encore fire convoy and air attack is tempting. Nope. No issues to be found so far unlike with Fire Convoy and God Magnus which had reports almost immediately. Do grab him for the 13000 yen he's going for. Just got mine open and he's so much more sturdy and solid than the original. Here's hoping this guy doesn't suffer from GPS! 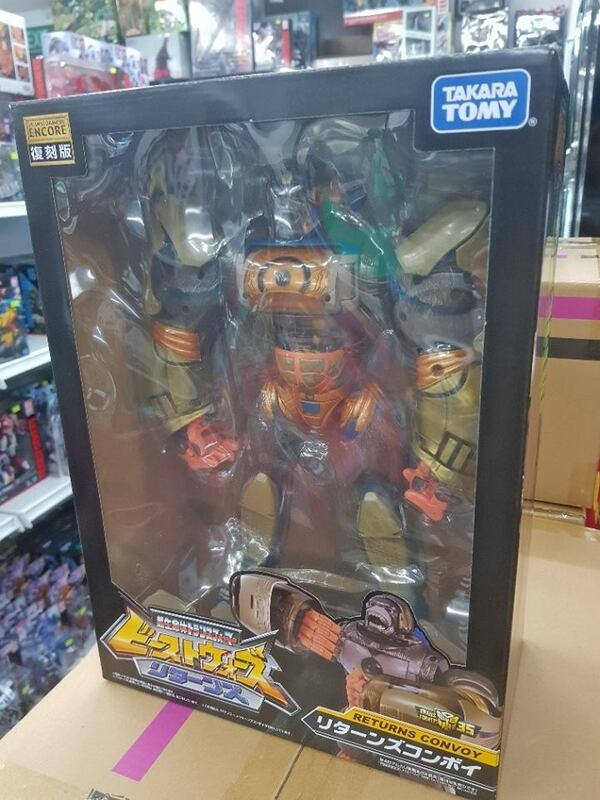 20,000 Japanese Yen usually equals around $200 which is kind of ridiculous considering that this figure originally cost $30 back in 2002.
comparing its price to the original usa release is kind of pointless, what did the original takara release sell for? Which is why it's good to shop around and check other places which are selling for cheaper. It's part of why I listed Nippon Yasan earlier in another post. Seeing them side-by-side, I like the colors on the original more than the Encore figure. They knocked the deco out of the park. The price seems ridiculous, but at least there's that. He's extremely detailed. Funnily enough, the original prototype has exactly that. Yeah it's a great shame they couldn't crank out the stoic headsculpt, it certainly fits the character much better. It's close, but the no eyes and the giant gaping "YAAAAAAAAAAAAH" mouth looks silly, so it could be better. Isn’t his bot head already pretty accurate? I feel there was a real greatly missed opportunity here that they didn't make new more accurate robot and beast heads for the figure. Would have really made this the definitive BM Primal to own. Without that I don't see the value here. 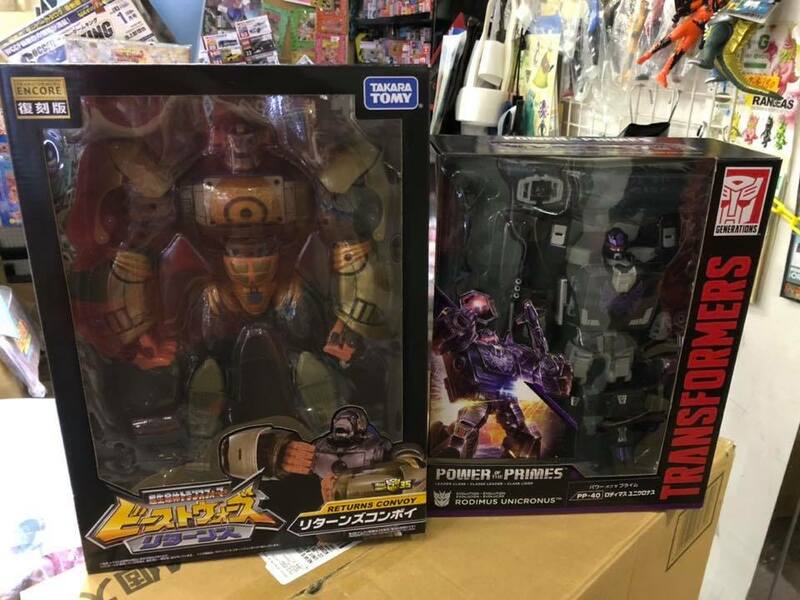 If anyone is still interested in Primal, Nippon Yasan actually has him for the cheapest I've seen anywhere list him. Currency conversion puts him at just over $120 USD compared to other places which want $180 or more. Overpriced, ugly toy, speaking \"incorrect\" language. Nope. However, thanks to the photos above, I know what else Amazon\'s delivering to my door today! You must tame the beast without. Mmmm… I have a few thoughts. The voice box is definitely the most impressive of all the AAOP figures to date. The sheer number of recorded lines for both modes from Koyasu. The fact that they even implemented a brand new sound gimmick for the "secret story" voice line by holding the chest in is pretty cool. However, that's as best as I can compliment it. The other gimmicks (Disc Launcher, Punching Arm and Jetpack) are actually worse than the YOTM Primal, which is honestly surprising. The arm doesn't even sync up with the actual engineering of the gimmick, merely sounding off after a single punch but making it sound like three punches. The Disc Launcher is just meh overall but what really got to me was just how lazy the jetpack is. On the original Primal, there was a motion sensor inside the figure that programmed the voice box to give off the illusion of flying sound effects and was able to go higher or lower in pitch depending on the angle that the figure was being held at. It was also programmed to be a looping sound so that there was no break in the illusion. The YOTM tried to replicate this but seemed to have just stopped short. This Encore figure however? It doesn't even bother to try, just merely repeating the jetpack deloyment sound from what I can hear. As it stands right now, I'm still excited to wait and receive my copy but this review showing off the sound gimmicks both impresses and disappoints me because everything else about the figure is really nice. It's just a shame that the main gimmick of the figure is compromised in some way. They were so close to having an ultimately great figure but have fallen short once again.